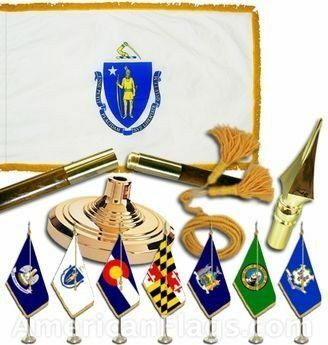 AmericanFlags.com is proud to carry Massachusetts State Flags in a variety of materials, and styles, in sizes ranging from 4 IN X 6 IN to 12 FT X 18 FT. All of our Massachusetts flags meet official specifications, are on sale right now and are ready for immediate shipping to your door. 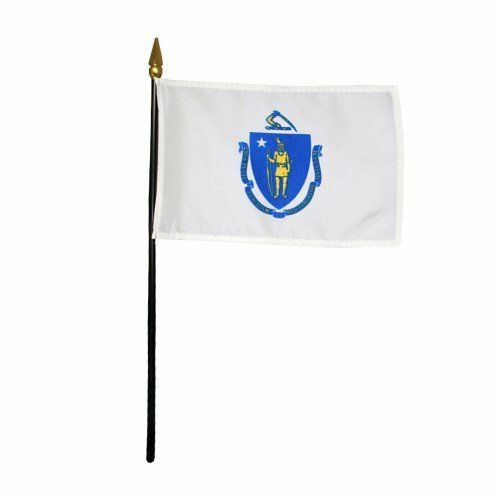 Adopted in 1915 and amended in 1971, the Massachusetts flag depicts the Commonwealth's Coat of Arms against a white background. 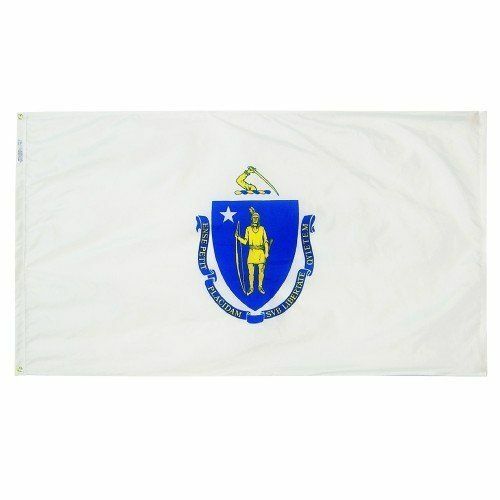 Emblazoned with the image of a Native American, Massachuset, who is shown with a downward pointing arrow as a symbol of friendliness, the Coat of Arms features a shield in the color blue that represents the Blue Hills of Canton and Milton, Massachusetts. 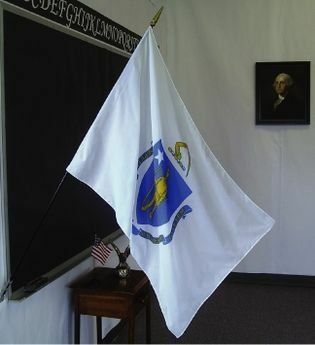 The white star that appears on the Coat of Arms represents Massachusetts as one of the original 12 colonies of the United States. 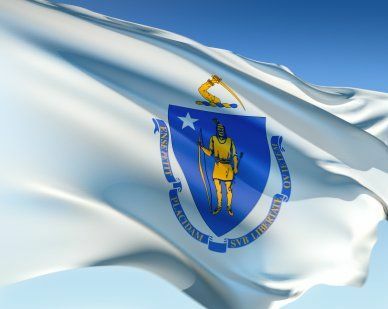 Printed in gold on a blue ribbon is the motto of the Commonwealth of Massachusetts, "Ense petit placidam sub libertate quietem," which translates to, "By the sword we seek peace, but peace only under liberty." The arm and the sword that appear above the shield support the motto.